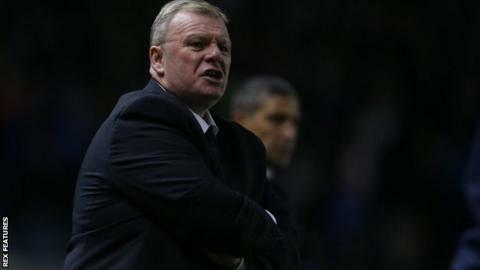 Leeds United boss Steve Evans says he does not fear for his job despite just one win in the Championship club's last 11 league games. Evans was advised by the club's chairman Massimo Cellino not to talk to the media following Monday's 4-0 defeat by Brighton & Hove Albion. "I 100% have to believe that I am going to be here in the summer," the 53-year-old told BBC Radio Leeds. "I never lay in fear of my job because I work too hard at it." He continued: "People have to make decision whether they want you or not and I've always respected that no matter where I have been at." Evans, who took over at Elland Road in October following the sacking of Uwe Rosler, is the sixth head coach to work under Cellino since he became Leeds owner in April 2014. The Scot said he agreed that it was the best option for him to not speak to the press after Monday's defeat. "The first thing I need to do is apologise to every Leeds United supporter," he added. "I was told there was a preference for me not to speak to the media and when I learned the reasons I respected that. "I am an emotional guy and people know I wear my heart on my sleeve, possibly too openly at times." Leeds, currently 18th in the table, host struggling Bolton on Saturday.